Press TV – Iranian President Hassan Rouhani says the United States will not be able to continue its anti-Iran policies for long, because Tehran has drawn up “accurate plans” to counter them. 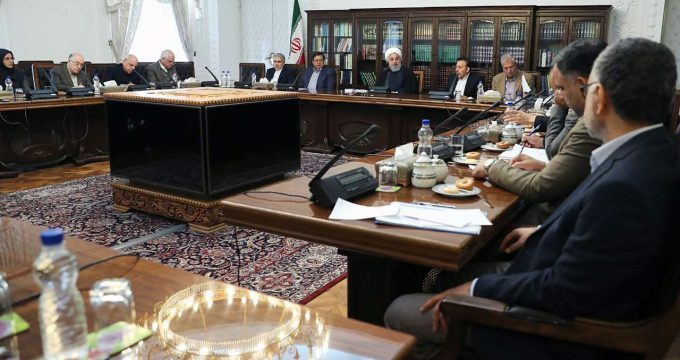 “The [Iranian] administration has extensive plans to counter the enemies’ psychological and economic warfare and solve problems,” Rouhani said in a meeting with a group of economic experts and academics in Tehran on Monday. He stressed the importance of raising hope in the country to defeat the enemies’ psychological and economic warfare against Iran. Rouhani noted that Iran has been plagued by some economic ailments that are rooted in the past. “We are not in a critical situation, but conditions are not normal either,” the Iranian chief executive said, adding this issue must be taken into consideration in all decision-making processes. He said critics have the right to express their grievances about the economic conditions in the country, but they should also propose solutions to problems. Rouhani made the remarks as the United States has ramped up pressure on Iran after US President Donald Trump withdrew Washington in May from the landmark Iran nuclear agreement, officially known as the Joint Comprehensive Plan of Action (JCPOA). Leader of the Islamic Revolution Ayatollah Seyyed Ali Khamenei said last month that enemies of Iran have unleashed an all-out economic and media war against Iran with the aim of creating “despair” and “pessimism” among people. “Today, the Islamic establishment is faced with an all-out economic war, which is being led from a war room with full precision and hard work,” the Leader said. In a meeting with the heads of Iran’s executive, legislative and judicial branches on October 11, Ayatollah Khamenei called on all branches of the government to join forces to counter the negative impacts of brutal American sanctions against the Iranian nation.